Travelers at Miami International Airport are in for a special treat this December when an interactive installation will delight pedestrians' eyes and ears as they walk from the rental car terminal to the airport proper. 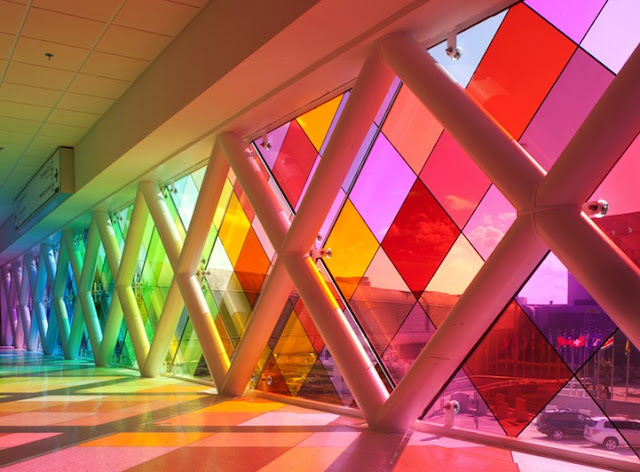 "Harmonic Convergence," by Washington D.C. native Christopher Janney, will entertain and amuse travelers as they use the airport's 180 foot-long moving walkway. 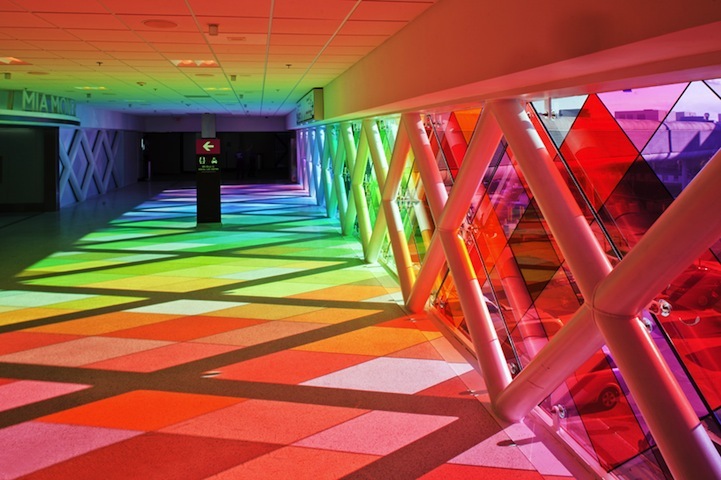 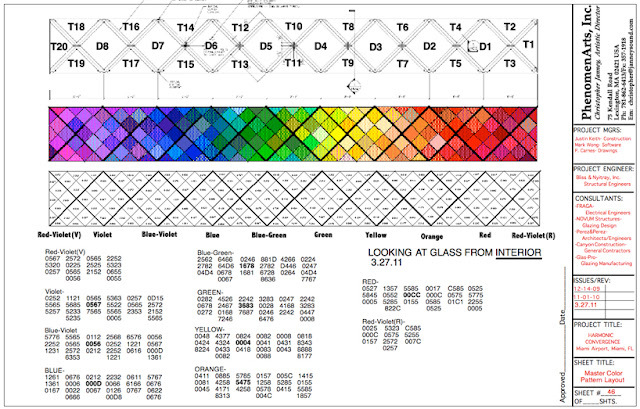 This installation is composed of 132 sheets of colored glass organized in "zones of color." 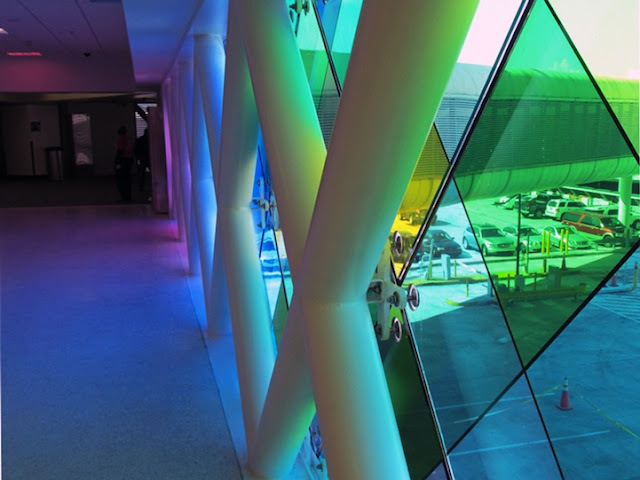 There's also strategically placed movement-activated speakers to provide beautiful sounds native to Florida. Travelers can expect to not only hear music, but sounds of crickets and flocks of birds!